Judgment, mercy, and mystery. As I prepare for this Sunday's liturgy, I keep returning to these three words, which seem to sum up the major message of the readings. In the first reading, the Lord describes Israel as a vineyard that he has built (cf. Isa 5:1–2, 7). This is an image that is often associated with Israel in both Old Testament texts as well as non-biblical works from the Second Temple and later rabbinic period. The final verses of the reading make it clear such a metaphor is in view; “the vineyard” is “the house of Israel” and the “people of Judah are his cherished plant”. To be more specific, the “song of the vineyard” could be described as teaching three specific lessons. 1. God cares for his people. In the first part (Isaiah 5:1–4a), we read about how God took great care in establishing his vineyard, i.e., Israel. The work of clearing the land, planting the “choicest vines”, hewing out a wine press, etc., all indicate the loving, attentive concern God has shown for his people. The language properly describes the painstaking process of tilling unformed land in the ancient world: (1) the hard ground had to first be broken, i.e., “dug”; (2) the rocky ground—an image especially familiar to those in the land of Palestine—needed to then be cleared of stones; (3) finally, the rocks would be set aside and sometimes used to build a wall. In short, the song seems to tell us that Israel was “uncultivated”. Establishing Israel did not happen over night. God had to “prepare the ground”. [God] calls us to produce much fruit so that we will not be cast into the fire because we do not. He constantly compares human souls with vines. He says, ‘My beloved has a vineyard on a hill in a fruitful place.’ And, ‘I planted a vineyard and put a hedge around it.’ Obviously he called human souls the vineyard, around which he puts the security of his commandments and his angels as a hedge. . . . He desires that we also hold fast to our neighbors with love like vines, and to rest on them, with the highest desires, in order that we may reach the greatest heights of lofty teachings, like climbing vines. . . . Our soul is ‘dug around’ when we lay aside the cares of the world that burden our hearts. Therefore, the one who has laid aside carnal love and the desire of possessions and has deemed desire for small glory of greatest contempt has been dug around and liberated from the vain burden of the spirit of the world.—Basil the Great, Homilies on the Hexaemeron 5.6 [NPNF2 8:79]. 2. God’s people did not bear good fruit. Rather than producing good fruit, an image that other biblical texts use for the result of faithfulness to God (see, e.g., Ps. 1:1–3; Jer. 17:10; Matt. 7:17; 12:33; Jn. 15:5; Gal. 5:22–23), the vineyard produces “wild grapes”. The Hebrew term that is translated “wild grapes” has always been a bit difficult to translate. It is a hapax legmenon, a word that appears nowhere else in Scripture. Because translators are always looking to see how a word is used in other contexts to best understanding its meaning, translating the word here is a bit of a challenge. Interestingly, the Greek version of the Old Testament, the Septuagint, translates the term with the word akanthas—“thorn plants, thistles”. One wonders if an allusion to the fall in Genesis 3 is intended here. There, of course, after sinning, Adam is told that his work will be carried out in toil and bear “thorns”. 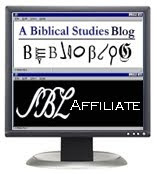 In the Septuagint, the same word, akanthas, appears. Given that Isaiah seems to allude to imagery from the garden of Eden elsewhere (e.g., Isa. 11), it seems possible that Israel’s downfall is therefore being described in terms of Adam’s sin. The last verses of this lectionary reading spell out in detail what God was looking for from his vineyard, i.e., what "good fruit" he was expecting: “justice”. Unfortunately, at harvest time what came was “bloodshed” and the cries of those who were oppressed. Judgment is coming. Because of their infidelity God will allow his vineyard to be “trampled” upon. In other words, even God’s beloved vineyard—even Israel!—is not immune from punishment. The lesson should be sobering to us. God cannot tolerate injustice—not even from his beloved vineyard! One cannot oppress the poor and and innocent without impunity. God won't stand for it. R/ (Is 5:7a) The vineyard of the Lord is the house of Israel. R/ The vineyard of the Lord is the house of Israel. You don’t have to be a Bible scholar to understand why Psalm 80 has been paired in the lectionary with Isaiah 5; both describe Israel as the “vineyard of the Lord” and relate its destruction. In fact, going on, Psalm 80 uses imagery that is strikingly similar to that of Isaiah 5. Though not read here in the lectionary, verse 9, which describes how God brought Israel into the promised land and established them there, reads: “Thou didst clear the ground for it; it took deep root and filled the land”. The major difference between the two readings, of course, is that whereas Isaiah 5 speaks of God’s judgment as a “future reality”, the psalmist describes the vineyard has having now been “broken down”. In the full text of the psalm, it is clear that what is in view is the exile. The psalmist, therefore, pleads with God to “save” his people—to restore them from exile, re-gathering them and re-establishing his people in the promised land. Indeed, the Targum on Psalm 80--admittedly, a much later text--interprets this figure as the Messiah. What is interesting here is that the psalm associated the figure of God’s “right hand man” with the vine itself. In other words, the figure—most likely the Davidic king—is portrayed as an image of corporate Israel. I have written elsewhere on this blog of how this works in the ancient world. Suffice it to say, the king can represent all the people. This is seen, for example, in another passage that speaks of a “son of man” figure, namely, Daniel 7. There four beasts are described as both four “kings” and as four “kingdoms” (cf. Dan. 7:17 and Dan. 7:23). The “son of man” figure, to whom “dominion” is given—i.e., a royal image—clearly also represents an image of the saints. Dodd’s view is controversial. How much Psalm 80 influenced the authors of the New Testament is unclear. Still, contemporary scholars nevertheless recognize that Psalm 80:17 likely played a role in the development of messianic hopes. Suffice it to say, within later Christian tradition, there is no doubt that the psalm's imagery is fulfilled in Christ (see, e.g., Augustine's commentary on the psalm). The lectionary reading should, therefore, be read in this light. The psalm is prayed here in reference to hopes for the coming of the Messiah, the one who will restore Israel. These hopes are, from the perspective of the New Testament, fulfilled in Christ Jesus. He has restored his people and “saved” them. Brothers and sisters:Have no anxiety at all, but in everything,by prayer and petition, with thanksgiving,make your requests known to God.Then the peace of God that surpasses all understandingwill guard your hearts and minds in Christ Jesus. Finally, brothers and sisters,whatever is true, whatever is honorable,whatever is just, whatever is pure,whatever is lovely, whatever is gracious,if there is any excellenceand if there is anything worthy of praise,think about these things.Keep on doing what you have learned and receivedand heard and seen in me.Then the God of peace will be with you. It is painful to not offer an in-depth reflection on this beautiful reading but I’d like to keep the focus of the commentary here the Gospel so I’m going to simply treat it in terms of its relevance to the other readings. The First Reading highlights God’s judgment on Israel for unfaithfulness. The Responsorial Psalm speaks of the hope of restoration for God’s people, which is realized in Christ Jesus. However, should Christians be fearful of a God who so punished Israel? Paul makes it clear that the believer should, “Have no anxiety at all”. Why? God hears the requests of the his people. In short, yes, against the larger backdrop of the lectionary readings, we can remember that while Israel was judged, God also heard the cry of his people and sent he Messiah to redeem them. Within its original context in Philippians, Paul’s message is that the righteous ones who suffer can rest assured in the hope of Christ. This brings about “the peace of God that surpasses understanding”. What brings judgment is sin. However, those who think about the true, the honorable, the just, the pure, etc., have nothing to fear. The God of peace is with them--even in the midst of suffering. I think that all scholars agree that the imagery of the Parable of the Wicked Tenants comes from Isaiah 5, our First Reading (if there's a dissenting voice, I haven't run across it). As we have seen, there the Lord describes Israel as a vineyard that he has built (cf. Isa 5:1–2, 7). As already mentioned, the imagery was familiar from other Old Testament books and Jewish literature. Deciphering the other imagery in the story is not all that difficult. Let me try to break this down as simply as possible. I should note that because there is much discussion about this in scholarly literature I have included some lengthy footnotes below for those interested in further discussion. The Meaning of the Parable. Some have read this story in terms of a "supersessionist" theology in which the Church replaces Israel. However, as scholars such as Craig A. Evans have pointed out, this makes little sense of the parable's imagery. In sum, it is the tenants and not the vineyard which is condemned. The identity of the vineyard remains constant—it is the tenants, which changes hands! Given the context, then, it is most likely that the “tenants” in the parable symbolize the Jewish leadership. In fact, the Jewish leaders are described with the term "builders" elsewhere in ancient Jewish texts. The servants who are sent by the owner and who are rejected are widely recognized as representing the prophets sent by the Lord to his people. The stone rejected by the builders. The meaning of the follow-up quotation from Psalm 118:22 is also not difficult to discern, though, admittedly, at first glance (but not upon deeper reflection, as we shall see) it seems to come out of left-field. The reference to the “stone” that is (1) “rejected” (ἀποδοκιμάζω) by the “builders” and (2) becomes the cornerstone points to (1) Jesus’ passion (=“the stone rejected by the builders”) and (2) his vindication, i.e., resurrection (=“has become the cornerstone”). Indeed, the language closely mirrors the passion predictions, where Jesus explains that “the son of man must suffer . . . and be rejected [ἀποδοκιμάζω]” (Mark 8:31). It may seem that the introduction of the language of a “stone” comes abruptly. Why does Jesus link the rejection of the son with a rejected stone? Such punning would make a great deal of sense of the seemingly natural way Jesus links the rejection of the “son” with Psalm 118’s “stone” rejected by the builders. Temple imagery. It is especially important to note that Psalm 118 is closely tied to the temple, which serves as the context for the psalm (cf. v. 26: “We bless you from the house of the Lord”). Thus it is widely acknowledged that the “cornerstone” should be recognized as relating temple imagery. Indeed, as mentioned above, stone imagery was frequently connected with sacred shrines. It should also not go without notice that within the near context of the parable “stone” language is also elsewhere clearly linked with the temple (Matt 24:2; cf. Mark 13:1–2; Luke 21:5–6). Especially noteworthy is the non-biblical work, Testament Sol. 23:6–8 where Solomon speaks of the cornerstone in connection with his building of the temple. Although it is unclear whether the passage is a pre-Christian or not, either way it is significant for interpreting this saying. If the passage is pre-Christian it can be included with other Jewish sources that closely link “stone” imagery with the temple. If it reflects Christian theology, it would appear to support the idea that early Christians caught the temple allusion in the “cornerstone” language. Moreover, as Evans and others have shown, that Jesus follows the parable of the vineyard with a saying evoking temple terminology is probably not accidental. As mentioned above, the parable is based on Isaiah 5, a passage that seems to have been frequently linked with the temple cult in ancient Jewish sources. Echoing Isaiah 5:2, the owner of the vineyard in the parable is said to have built a tower (πύργος, Matt 21:33), an image also linked with the temple in ancient Judaism (cf. 1 En. 89:56–73; 4Q500; see also t. Me‘il. 1:16; t. Sukk. 3.15; Barn. 16:1–2, 4–5). Moreover, the “winepress” of Isaiah 5 is also linked with the temple in the Targum of Isaiah 5 and in the rabbinic traditions where it is identified as the altar (cf. t. Me‘il. 1:16; t. Sukk. 3:15). That such imagery is intended in Jesus' parable and in the cornerstone saying is further suggested by another fact. 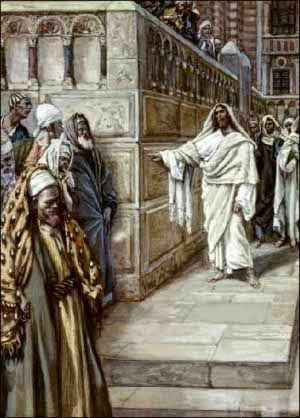 Matthew tells us where Jesus was when he told this parable: in the temple (Matt 21:23; cf. Mark 11:27). Given the numerous temple echoes, this hardly seems coincidental. For all of these reasons it seems likely that the cornerstone referred to by Jesus should be seen as relating temple-building imagery. The true temple. Thus, as others have recognized, by identifying himself with the “cornerstone” it seems apparent that Jesus identifies himself with the temple. Of course, such imagery fits in especially well within Matthew’s narrative, where Jesus has already sated: “Something greater than the temple is here” (Matt 12:6). Jesus’ appointment new priestly leaders. Jesus’ teaching thus seems to be tied to Jewish hopes for a coming new temple. However, it should be underscored that such expectations were closely linked with another kind of eschatological hope—that of a new/renewed priesthood. With this in mind it should be pointed out that the parable is specifically directed at the Jewish leaders—they are the ones from whom the vineyard is being taken (Matt 21:45). Thus, as we have seen, the tenants thus likely represent the religious leadership. Since the story ends with the vineyard being given to others, the parable’s message is not simply that God will judge the leaders but that he is also going to appoint new ones! More precisely, given the temple connections of the parable, it seems probable that what is in view is the institution of new reiglious leaders, i.e., priests. In fact, we would suggest that, given Jesus’ Jewish backdrop, it is impossible to imagine that ancient Jews would have expected the eschatological leadership to lack a priestly dimension.
. . . conveys a specific threat against the ruling priests, who in v 12 rightly perceive that Jesus had told the parable against them. Their place of power and prestige will soon come to an end. Their positions will be given to others. Giving the vineyard to others means only that Israel will be governed by people other than the ruling priests. In other words, it seems likely that Jesus believed that the new priestly leaders would come from the circle of his disciples. Others have argued similarly. The First Reading this Sunday describes God's judgment on his vineyard, Israel. Indeed, the temple was destroyed and Israel was taken into exile. Yet the prophets announced the hope of restoration. God would re-gather his people. Jewish hopes associated such a project with the coming of the Messiah, whom, it was believed, would usher in the age in which there would be a new temple and a renewed priesthood. The Gospel reading shows us that such hopes have been fulfilled in Christ and the Church. After contextualizing Jesus' birth within the history of Israel, including the "exile," Matthew explains at the start of his Gospel that Jesus came to "save his people from their sins" (Matt 1:21). Moreover, as we have seen, Matthew seems to identify Christ and the church with the new temple. His disciples seem to represent the "new priesthood", entrusted with the service of the new temple, the Christian community in Christ. Nevertheless, just because the promises have been fulfilled, we must not rest on our laurels. If the church represents God's vineyard, God's restored Israel, we must also hear the voice of the Lord. For, as we have seen, God is not unwilling to bring judgment upon his people. And so back to the three concepts I started with: judgment, mercy, mystery. Judgment: God has brought judgment on his people in the past and I should never presume to think I am immune from it myself should I reject what has been given to me. Mercy: Even after they turned away from him, God came back after his people. God sent the Messiah who brought about the fulfillment of Israel's hopes. And so, as imperfect as I am, I can have confidence in the Lord that he will forgive me. Whatever suffering I must endure, he offers "a peace that surpasses understanding." Mystery: God fulfills his promises--but in mysterious ways. As far as we know, no ancient Jew was expecting hopes for a new temple to be realized in the broken body of the Messiah? Yet, "the stone the builders rejected has become the cornerstone"! My ways are not God's ways. May I have confidence in the Lord that he remains faithful to his promises (even though I am not always faithful to mine!). When it seems as if he has abandoned me, let me hope in him. Let us take this Sunday as an opportunity in particular to pray for our priests who work in the vineyard, that they may remain faithful to the Lord in their vocation, especially at times when they feel "rejected" unfairly. In addition, let us also pray to the Lord for ourselves, recognizing the many times we have rejected the voice of his Son in our own lives and sought to run his vineyard on our own terms rather than his, unable to embrace "mystery", insisting that somehow we know best how (and when) he ought fulfill his promises. For example, see Isa 1:8; 3:13; 27:2–7 [37:30–32; 65:21]; Jer 12:10–11; Ezek 19:10. See also L.A.B. 12:9; 28.4; 4Q500 1; Midr. Tanh. B. Qedošin § 6; Exod. Rab. 30.17 [on Exod 21:18]; Midr. Prov. 19:21. See John D. W. Watts, Isaiah 1–33 (WBC 24; Nashville: Thomas Nelson, Inc, 2005), 85. See, e.g., Seyoon Kim, The Son of Man as the Son of God (WUNT 30; Tübingen: Mohr-Siebeck, 1983), 18. C.H. Dodd, According to the Scriptures: The Sub-Structure of New Testament Theology (London: Nisbet & Co., 1953), 101–2. Among the various scholars who treat this, see Adela Yarbro Collins, “The Apocalyptic Son of Man Sayings,” in The Future of Early Christianity: Essays in Honor of Helmut Koester (ed. B. A. Pearson; Minneapolis: Fortress, 1991), 220–28; David Hill, “ ‘Son of Man’ in Ps. 80 v 17,” NovT 15 (1973): 261–69; Sigmund Mowinckel, He That Cometh: The Messiah Concept in the Old Testament and Later Judaism (Nashville: Abingdon, 1956), 357; David C. Mitchell, The Message of the Psalter: An Eschatological Programme in the Book of Psalms (JSOTSup 252; Sheffield: Sheffield Academic Press, 1997), 103–4; Craig A. Evans, Jesus and His Contemporaries: Comparative Studies (Leiden: Brill, 1995), 419 n. 27; Martin Hengel, Studien zur Christologie (WUNT 201; Tübingen: Mohr-Siebeck, 2006), 320–22. There are many parallels between the Greek version [LXX] of Isaiah 5 and the imagery in the parable: a “hedge” (φραγμὸν) is set around the vineyard (περιέθηκεν/περιέθηκα) (Matt 21:33; Isa 5:2); builders “dug a winepress” (Matt 21:33: ὤρυξεν ἐν αὐτῷ ληνὸν; Isa 5:2: ὤρυξεν ὑπολήνιον); “he built a tower” (Matt 21:33: ᾠκοδόμησεν πύργον; Isa 5:2: ᾠκοδόμησα πύργον). For further discussion, see Steven Bryan, Jesus and Israel's Traditions of Judgement and Restoration (SNTSMS 117; Cambridge: Cambridge University Press, 2002), 54 n. 18; W. J. C. Weren, “The Use of Isaiah 5, 1–7 in the Parable of the Tenants (Mark 12,1–12; Matthew 21,33–46),” Bib 79 (1998): 1–26. See 1QIsaa LIV, 13; CD IV, 19; VIII, 12; b. Šabb. 114a; b. Ber. 64a; Song Rab. 1.5 §3; Exod. Rab. 33.10; Tg. Ps. 118:22–28; cf. also Acts 4:11. Notably, the leaders of the Christian community are also identified as “builders” (cf. 1 Cor 3:10–15; cf. also Rom 15:20; 2 Cor 10:8; 12:19; 13:10). See, e.g., Nolland, Matthew, 878 n. 116; Rikki Watts, “The Psalms in Mark’s Gospel,” in The Psalms in the New Testament (eds. S. Moyise and M.J. J. Menken; T & T Clark, 2004), 34 [25–46]; Davies and Allison, Matthew, 3:185 n. 62; Keener, Matthew, 515; Fitzmyer, Luke, 2:1282. The imagery is consistent with, e.g., 2 Chronicles 36:15–16: “The Lord, the God of their fathers, sent persistently to them by his messengers, because he had compassion on his people and on his dwelling place; ﻿16﻿ but they kept mocking the messengers of God, despising his words, and scoffing at his prophets, till the wrath of the Lord rose against his people, till there was no remedy.” That the prophets were persecuted and even killed by the Jewish leaders of their day is clear from biblical sources (cf. 1 Kgs 18:4, 13; 19:10, 14 [Jezebel persecutes the prophets]; 22:26–27 [Isaiah is cast in prison by Ahab]; 2 Chr 16:10 [Asia puts Hanna in prison]; 24:20–22 [Zechariah been Jehoiada is stoned]; Neh 9:26; Jer 2:20; 7:25–26; 25:3–4; 26:2–6; 29:17–20; 35:13–17; 44:4–14; Bar 1:21; 2:1, 7–8) and non-biblical literature (e.g., Josephus, A.J. 9.265–267; 10.38–39; 1 En. 89:73–90:39; Jub. 1:12–13; T. Levi 16:2). It is especially important to note that in many of these passages the prophets are identified as “servants” of the Lord, closely mirroring the language of the parable told by Jesus (cf. Jer 7:25–26; 25:3–4; 26:2–6). See the treatment in Michael Knowles, Jeremiah in Matthew's Gospel: The Rejected-Prophet Motif in Matthean Redaction (JSNTSup 68; Sheffield: Sheffield Academic Press, 1993), 97–101. See, e.g., P. W. L. Walker, Jesus and the Holy City: New Testament Perspectives on Jerusalem (Grand Rapids: William B. Eerdmans Publishing, 1996), 11; Joseph Fitzmyer, The Gospel According to Luke (2 vols; AB 28–28a; Garden City: Doubleday, 1981), 2:1282; Robert Gundry, Matthew: A Cxommentary on His Handbook for a Mixed Church Under Persecution (2nd ed. ; Grand Rapids: Eerdmans, 1994), 429; John Nolland, The Gospel of Matthew (NIGTC; Grand Rapids: Eerdmans, 2005), 878. The careful reader, however, will notice that Jesus omits Isaiah’s description of the clearing away of the stones prior to the preparation of the vineyard (cf. Isa 5:2). Perhaps this image was dropped to make better sense of the introduction of the “cornerstone” imagery at the end of the parable. See Robert H. Gundry, Mark: A Commentary on His Apology for the Cross (Grand Rapids: Eerdmans, 1993), 689–90. Other examples could also be cited. See, for example, Exod 28:9–10; Lam 4:1–2; Zech 9:16; Tg. on Psalm 118:22; Lam Rab 4:1; Exod Rab. 20:9; 46:2; Esth. Rab. 7:10. For further discussion see Klyne Snodgrass, Parable of the Wicked Servants: An Inquiry into Parable Interpretation (WUNT 27; Tübingen: Mohr-Siebeck, 1983), 115–16; George Brooke, “4Q500 1 and the Use of Scripture in the Parable of the Vineyard,” DSD 2 (1995): 287–88 n. 59 [268–94]; Hagner, Matthew, 3:622; Evans, Mark 8:27–16:20, 229. That the wordplay explains Jesus’ language is accepted by many scholars, including, Evans, Mark, 228–29; idem., Jesus and His Contemporaries, 403–4; Nolland, Matthew, 877; Gundry, Mark, 689–90; N. T. Wright, Jesus and the Victory of God (COQG 2; Minneapolis: Fortress, 1996), 497–501; Snodgrass, Parable of the Wicked Servants, 63–65, 113–18; Philip Carrington, According to Mark (Cambridge: Cambridge University Press, 1960), 256; Matthew Black, “The Christological Use of the Old Testament in the New Testament,” NTS 18 (1971): 12–14 [1–14]. Stone imagery was frequently linked with temples and sacred sites in the Old Testament (e.g., Gen 28:10–22; Isa 8:14–15; 28:16; Zech 4:7–9; b. Yoma 54a; Lev. Rab. 20.4; Bet ha-Midr. 5.63; Num. Rab. 12.4; b. Suk. 49a; 53ab; b. Mak. 11a; p. Sanh. 29a). While 4Q500 1 is poorly preserved it is nonetheless clear that it links the vineyard with “the gate of the holy height”, a term linked with the temple (e.g., Ezek 20:40). See Evans, Mark, 232; idem., Jesus and His Contemporaries, 400–01; Brooke, “4Q500 1 and the Use of Scripture in the Parable of the Vineyard,” 268–94; J. J. Baumgarten, “4Q500 and the Ancient Conception of the Lord’s Vineyard,” JJS 40 (1989): 1–6; Marcus, The Way of the Lord, 120. Indeed, that Isaiah links the vineyard with a “hill” or “horn” (קֶ֫רֶן) may also suggest temple imagery (i.e., the hill of Zion or the “horns” of the altar which stood there; cf. Exod 27:2; Lev 4:7, 18; Ps 118:27; Jer 17:1; Ezek 43:15, 20; Amos 3:14). See Beale, The Temple and the Church’s Mission, 184: “Jesus applies the psalm’s temple ‘cornerstone’ image to himself. That he has in mind such a self-identification is pointed to by noticing that Matthew 21 is also set in the context of the temple: (1) he cleanses the temple (21:12–13); (2) the physically handicapped come to him in the temple to be healed (21:14); (3) he is praised in the temple for his healings (21:15); (4) he speaks the parable of the tenants after he had ‘come into the temple’ (21:23ff.). Therefore, the implication is that rejection of Jesus as the ‘cornerstone’ of the temple (‘the stone which the builders rejected’) is equivalent to rejection of Jesus as the true temple (‘this became the chief cornerstone’), which his in the process of being built.” See also Timothy C. Gray, The Temple in the Gospel of Mark (WUNT 2/242; Tubingen: Mohr-Siebeck, 2008), 70: “both the vineyard and stone imagery have a common reference: the temple.” See also Michael F. Bird, Jesus and the Origins of the Gentile Mission (Library of Historical Jesus Studies 331; New York: T & T Clark, 2007), 158–9. Support for the idea that such a connection is present here may be found in the fact that Matthew’s account goes on to have Jesus finishing his quotation of Psalm 118 with the following warning: “Every one who falls on that stone will be broken to pieces; but when it falls on any one it will crush him” (Matt 21:44). This saying evokes Isaiah 8:14–15, which appears to describe an eschatological sanctuary as well as the vision of the stone which grows into a mountain in Daniel 2. The latter prophecy is also probably linked with cultic imagery. See discussion in Beale, The Temple and the Church’s Mission, 149–51. Although the saying does not appear in some of the most ancient manuscripts, the fact that Matthew’s saying departs from Luke’s version weighs heavily in favor of its authenticity. See Gundry, Matthew, 430 whose explanation is compelling: “Interpolation from Luke would probably have resulted in a text identical with Luke’s. Furthermore, special agreements between Matthew and Luke in Markan materials crop up repeatedly; and allusion to the OT, such as v. 44 contains, typifies Matthew’s style. Verse 44 would have fit better right after v 42 because of the common reference to a stone in the two verses. But the awkwardness of v 44 after v 43 does not argue for clumsy interpolation of v 44. Rather, it confirms the composition of v 43 by Matthew in that his eagerness to write about transfer of the kingdom as the ‘marvelous’ interpretation of v 42 resulted in an awkward delay of v 44. And the allusion to Dan 2:44 in v 43 leads to a further allusion to Dan 2:44 in v 44. The awkwardness in the delay of v 44 probably caused omission in the Western text. . .” See also France, Gospel of Matthew, 808; Snodgrass, The Parable of the Wicked Tenants, 66–68; idem., Stories with Intent, 286; Ivor Harold Jones, The Matthean Parables: A Literary and Historical Commentary (Leiden: Brill, 1995), 387–88; Blaine Charette, The Theme of Recompense in Matthew’s Gospel (JSNTSup 79: Sheffield: JSOT Press, 1992), 138–9; Bruce Metzger, A Textual Commentary on the Greek New Testament (2d ed. ; Stuttgart: Deutsche Bibelgesellschaft, 1994), 47. Another great one. Wish I could see yall in Plano next weekend, but I have a work retreat. Yall will crush it no doubt. Do you have any advice on what, if anything, one should do when this past weekend’s homily on the readings was to the effect—“What these readings are really about is environmental stewardship…” and in which there was not, I think, one mention of Israel, the covenant or, even, Christ. If it was an isolated event I would not care; but it is part of a over-arching trend that completely denudes the readings of any transcendent power and levels it all down to ‘social justice’.